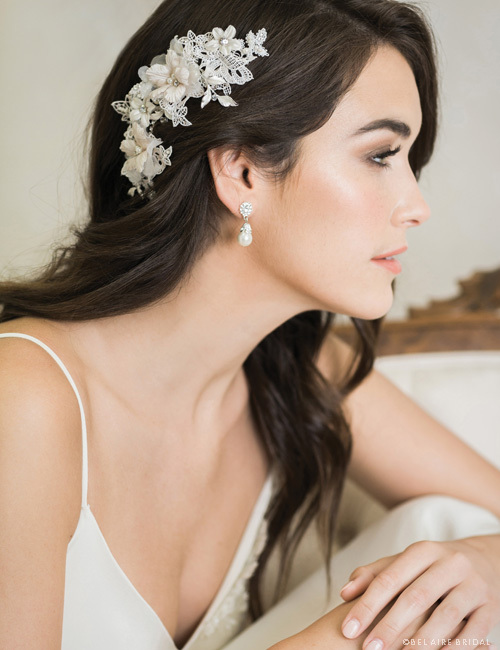 Clip a romantic accent into your bridal hairstyle. Soft champagne flowers and beautifully embellished Venise lace add exquisite charm to your look. Pair this feminine, vintage-inspired accessory with pearl or rhinestone jewelry to customize your ensemble.